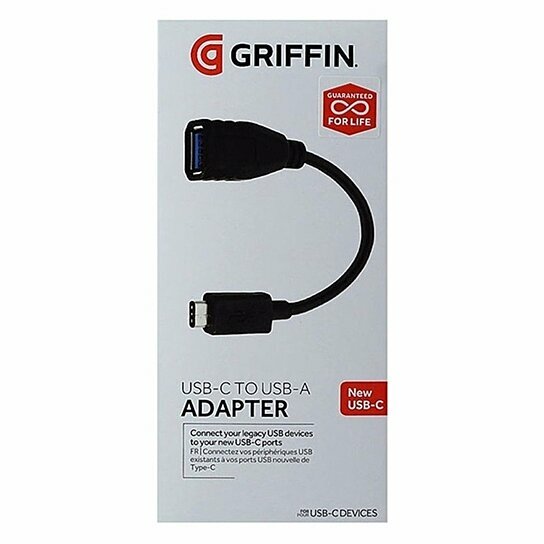 Griffin brand products, USB Type-C to USB-A 3.0 Female Adapter. All black cable. About 10 Inches in length.